BURLINGTON, VT --- The Vermont Lake Monsters would like to congratulate front office members Kyle Bostwick and Adam Matth, who were both recently named winners of 2018 New York-Penn League Awards. Bostwick, the Lake Monsters Vice President, was the recipient of the Honorable Robert F. Julian Community and Baseball Service Award, given annually to the individual that has made outstanding service contributions to their community and to baseball. Bostwick, who has been the Lake Monsters VP since 2009, was previously named NYPL Executive of the Year in 1999 when he was the team's General Manager. Matth, the team's Assistant General Manager, was named the Sam Nader Male Executive of the Year, recognizing a male staff member in the league who has made an outstanding contribution to his club and/or the New York-Penn League. 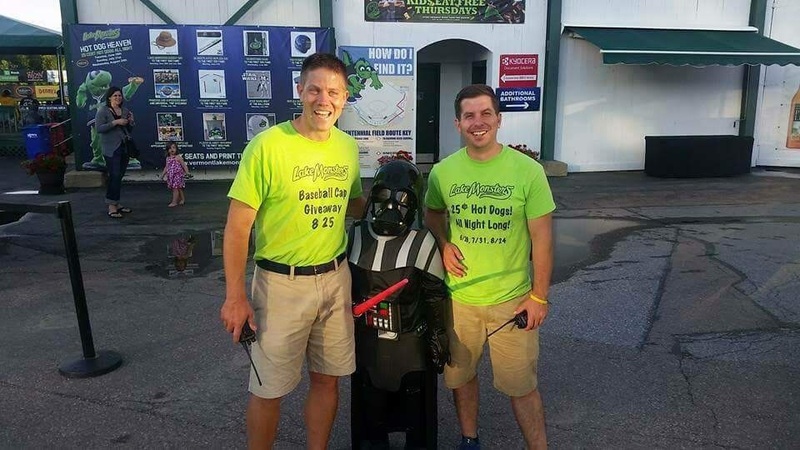 Matth has been the Vermont Assistant GM since October 2015 after previously serving as Box Office Manager 2012-13 and Director of Ticket Operations in 2014 (spent 2015 season in the Houston Astros Ticket Department). Congratulations again to both Kyle and Adam.